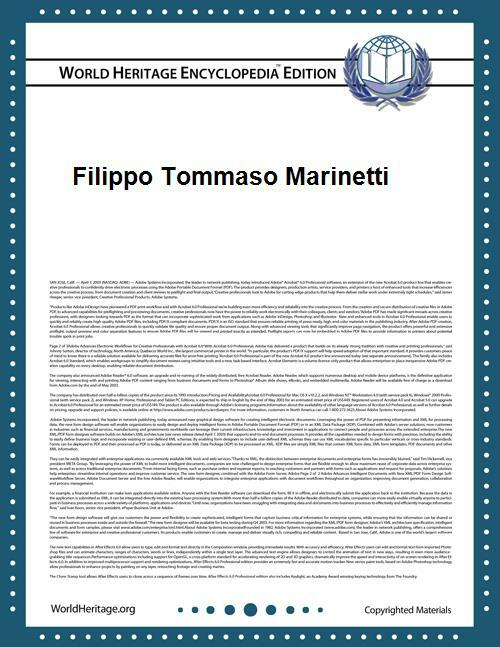 Filippo Tommaso Emilio Marinetti (Italian: ; 22 December 1876 – 2 December 1944) was an Italian poet and editor, the founder of the Futurist movement. He was associated with the utopian and Symbolists artistic and literary community Abbaye de Créteil between 1907 and 1908. Marinetti is best known as the author of the first Futurist Manifesto, which was written and published in 1909. Marinetti is known best as the author of the Benito Mussolini. The Futurist Manifesto was read and debated all across Europe, but Marinetti's first 'Futurist' works were not as successful. In April, the opening night of his drama Le Roi bombance (The Feasting King), written in 1905, was interrupted by loud, derisive whistling by the audience... and by Marinetti himself, who thus introduced another element of Futurism, "the desire to be heckled". Marinetti did, however, fight a duel with a critic he considered too harsh. In 1910, his first novel Mafarka il futurista was cleared of all charges by an obscenity trial. That year, Marinetti discovered some allies in three young painters, (Umberto Boccioni, Carlo Carrà, Luigi Russolo), who adopted the Futurist philosophy. Together with them (and with poets such as Aldo Palazzeschi), Marinetti began a series of Futurist Evenings, theatrical spectacles in which Futurists declaimed their manifestos in front of a crowd that in part attended the performances in order to throw vegetables at them. The most successful "happening" of that period was the publicization of the "Manifesto Against Past-Loving Venice" in Venice. In the flier, Marinetti demands "fill(ing) the small, stinking canals with the rubble from the old, collapsing and leprous palaces" to "prepare for the birth of an industrial and militarized Venice, capable of dominating the great Adriatic, a great Italian lake". In 1911, the Italo-Turkish War began and Marinetti departed for Libya as war correspondent for a French newspaper. His articles were eventually collected and published in The Battle Of Tripoli. He then covered the First Balkan War of 1912-13, witnessing the surprise success of Bulgarian troops against the Ottoman Empire in the Siege of Adrianople. In this period he also made a number of visits to London, which he considered 'the Futurist city par excellence', and where a number of exhibitions, lectures and demonstrations of Futurist music were staged. However, although a number of artists, including Wyndham Lewis, were interested in the new movement, only one British convert was made, the young artist C.R.W. Nevinson. Nevertheless, Futurism was an important influence upon Lewis's Vorticist philosophy. About the same time Marinetti worked on a very anti-Roman Catholic and anti-Austrian verse-novel, Le monoplan du Pape (The Pope's Aeroplane, 1912) and edited an anthology of futurist poets. But his attempts to renew the style of poetry did not satisfy him. So much so that, in his foreword to the anthology, he declared a new revolution: it was time to be done with traditional syntax and to use "words in freedom" (parole in libertà). His sound-poem Zang Tumb Tumb, an account of the Battle of Adrianople, exemplifies words in freedom. 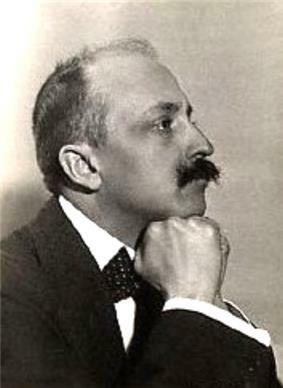 Recordings can be heard of Marinetti reading some of his sound poems: (1912)Battaglia, Peso + Odore; (1914)Dune, parole in libertà; (1926) (recorded 1935)La Battaglia di Adrianopoli. Marinetti agitated for Italian involvement in The Great War, and once Italy was engaged, promptly volunteered for service. In the Fall of 1915 he and several other Futurists who were members of the Lombard Volunteer Cyclists were stationed at Lake Garda, in Trentino province, high in the mountains along the Italo-Austrian border. They endured several weeks of fighting in harsh conditions before the cyclists units, deemed inappropriate for mountain warfare, were disbanded. In Fascist Italy, modern art was tolerated and even approved by the Fascist hierarchy. Towards the end of the 1930s, some Fascist ideologues (for example, the ex-Futurist Ardengo Soffici) wished to import the concept of "degenerate art" from Germany to Italy and condemned modernism, although their demands were ignored by the regime. In 1938, hearing that Adolf Hitler wanted to include Futurism in a traveling exhibition of degenerate art, Marinetti persuaded Mussolini to refuse to let it enter Italy. During the same year he protested publicly against anti-Semitism. Marinetti made numerous attempts to ingratiate himself with the regime, becoming less radical and avant garde with each. He relocated from Milan to Rome. He became an academician despite his condemnation of academies, saying, “It is important that Futurism be represented in the Academy.” He was an atheist but became reconciled to the Catholic Church in an attempt to make Futurism the official representative of religious art. 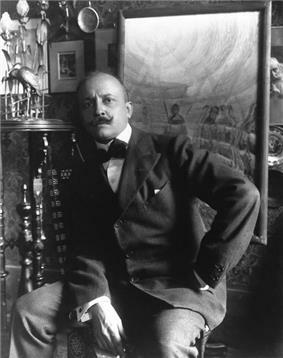 Marinetti volunteered for active service in the Second Italo-Abyssinian War and the Second World War, serving on the Eastern Front for a few weeks in the Summer and Autumn of 1942, despite his advanced age. Giovanni Lista, Le Futurisme, une avant-garde radicale, coll. "Découvertes", Éditions Gallimard, Paris, 2008.